This week, Cathedral Prep and Villa Maria Academy will begin their tutoring program at Mother Teresa Academy. This program, which began last year, was created with the idea to allow Cathedral Prep and Villa Maria Academy students to help MTA students, grades kindergarten through eighth, with their schoolwork, while also providing them with a positive role model. 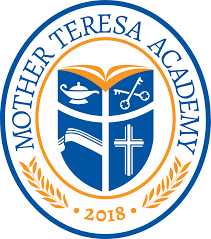 Mother Teresa Academy was founded last school year and works very hard to educate and develop the young children of the Erie community, which is why Prep and Villa students are so thrilled to be a part of a program that allows them to make a positive impact on young people’s lives. To be sure that the students are getting as much support and help with school work as they need, different Prep and Villa students will be traveling over to MTA on a daily basis, depending on what day of the week they signed up to help. Once over at MTA, students will be put in the class level that they have been assigned to and spend an hour with the kids, helping them do homework, playing games, and sharing many laughs in between. The program is led by members of Prep and Villa’s National Honor Society, who organize many fun activities and events for both campuses, with this program being one of the very best and brightest. After last year’s success, all who are involved are very excited to start the program this week!